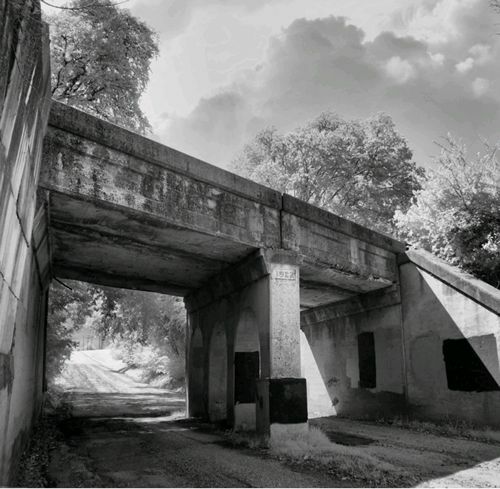 The Bankhead Highway was one of the first PAVED transcontinental highways in the United States. 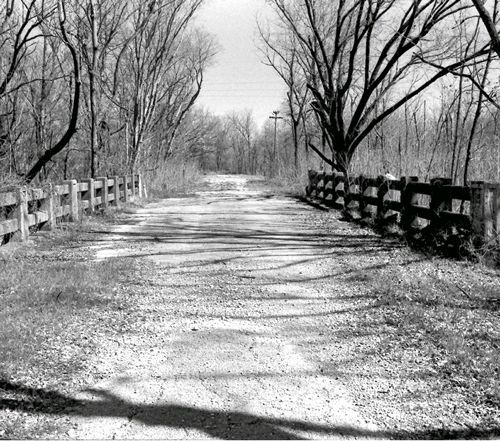 Its beginnings can be traced back to 1916, when traveling across the United States by automobile was very perilous undertaking. With no system of paved roads, a traveler was subject to the weather, bad roads, washed out bridges, no fuel, no food... all sorts of problems! The road extended from Washington, D.C. to San Diego, California. Its path crossed approximately 850 miles of Texas, passing through Texarkana, Mount Vernon, Dallas, Rowlett, Fort Worth, Abilene, Midland, Van Horn and El Paso, roughly following today's US 67 and US 80. 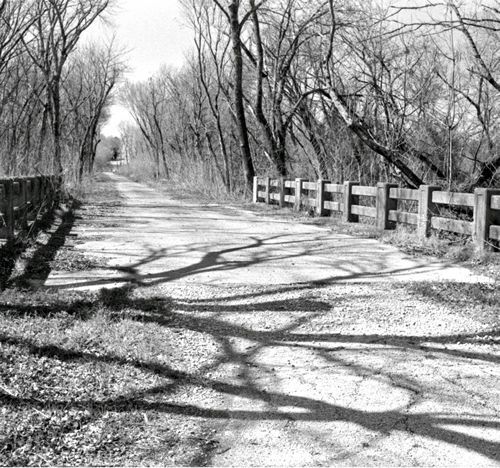 Near the town of Rowlett, there is still a small stretch of the original highway, hidden in the underbrush and trees, away from the city's development and growth. 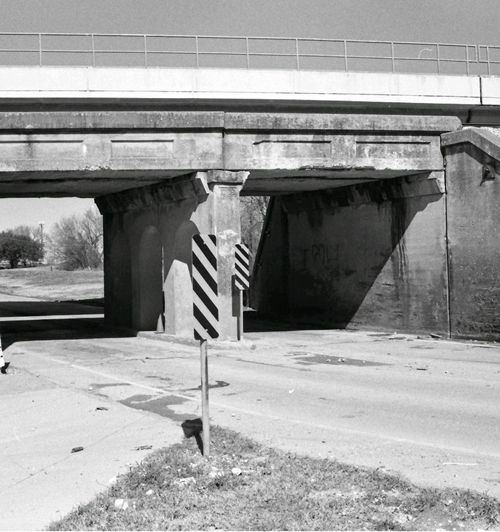 One of Two of the original train trestles from the Bankhead Highway that remain in Rowlett, Texas. This one is near Lake Ray Hubbard, and that is actually an extension of Main Street that runs under it.. and into the lake! The second train trestle - Dallas Area Rapid Transit (DART) has actually built a new track over this 90 year old bridge, so it is still in use! 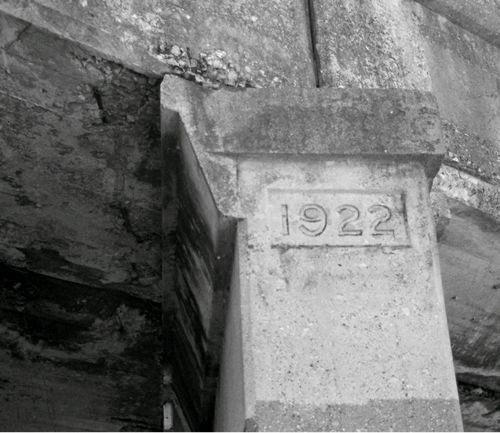 In 1922, there were few lights about after dark, and a traveler driving down the road might not see a bridgepost. 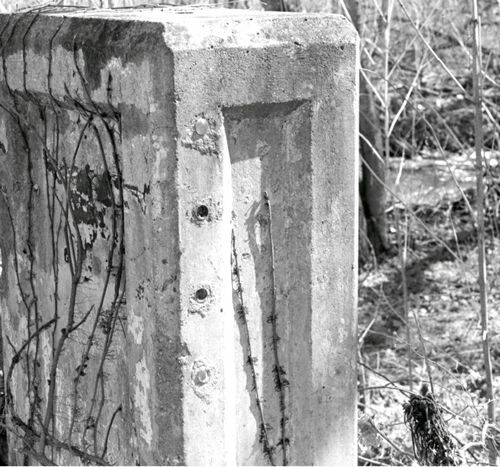 To help, four vertical reflectors were placed on all bridgeposts. If you were driving and saw four verticle lights, you knew that a bridge was ahead. 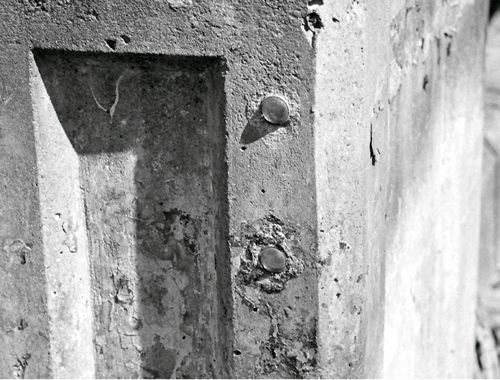 Interestingly, many of these old reflectors are still intact! All Photographs by Frank R. Brown, Texana Pictures.